Enjoy the top 12 famous quotes, sayings and quotations by Charles Kaiser. 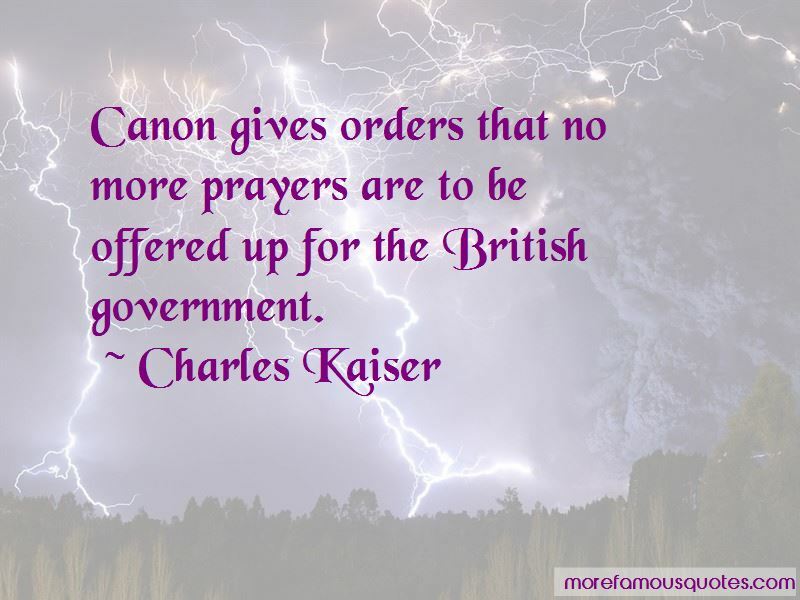 Canon gives orders that no more prayers are to be offered up for the British government. 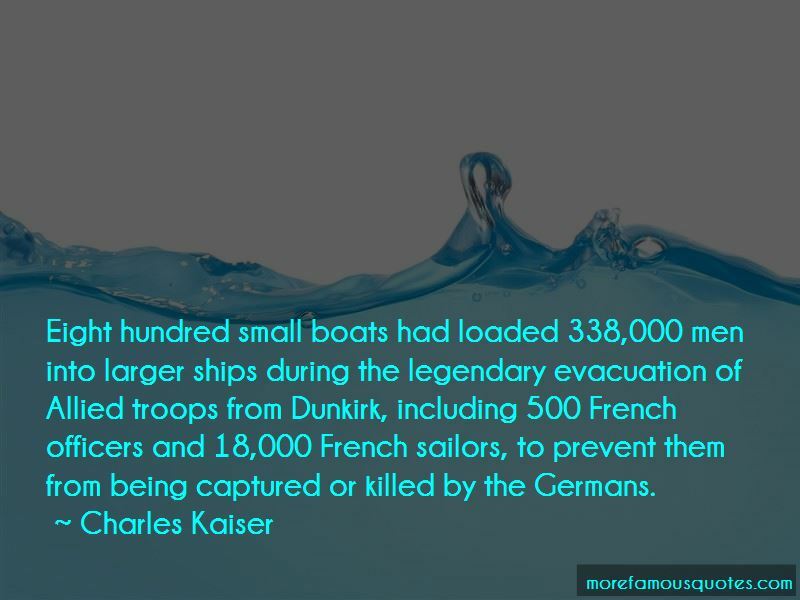 Eight hundred small boats had loaded 338,000 men into larger ships during the legendary evacuation of Allied troops from Dunkirk, including 500 French officers and 18,000 French sailors, to prevent them from being captured or killed by the Germans. Only one deputy, one admiral, and one leading academic remain with the Free French in London, and de Gaulle notices that all of his earliest supporters are either Jews or Socialists. 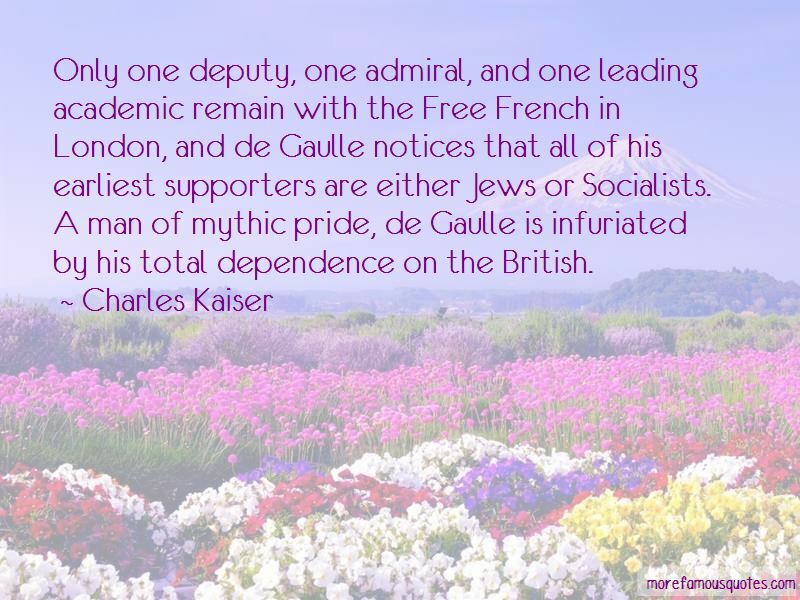 A man of mythic pride, de Gaulle is infuriated by his total dependence on the British. Want to see more pictures of Charles Kaiser quotes? 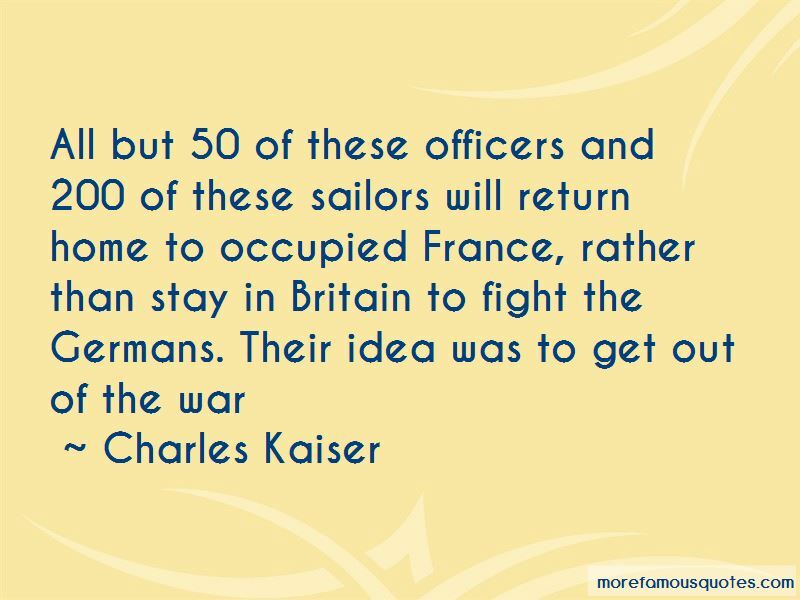 Click on image of Charles Kaiser quotes to view full size.